We are excited to bring you an end of year update on The Living Pavilion. So much has been achieved over the past few months, thanks to the hard work of so many people. We are pleased to report that we now have an approved site plan and design, a Kulin Nation plant list, a research strategy and a draft program. The Living Pavilion will run from Wednesday 1 May to Friday 17th May 2019, on the future site of the New Student Precinct at Melbourne University's Parkville campus, as a signature event of CLIMARTE's ART+CLIMATE=CHANGE festival 2019 (23 April to 19 May). The Living Pavilion Site Plan. Designed by THRIVE & CAUL Research Hubs, Jefa Greenaway, Charles Solomon, AILA & Ecodynamics. While The Living Pavilion is primarily a festival space, it is also a research project. The research strategy will investigate the success of The Living Pavilion through an assessment of biodiversity, air quality, microclimate, social connection, community typologies & engagement, place-attachment and co-design processes. This will be a collaborative effort with researchers from the THRIVE Hub (Melbourne School of Design), Clean Air and Urban Landscapes (CAUL) Hub of the National Environmental Science Program and The New Student Precinct (Melbourne University). 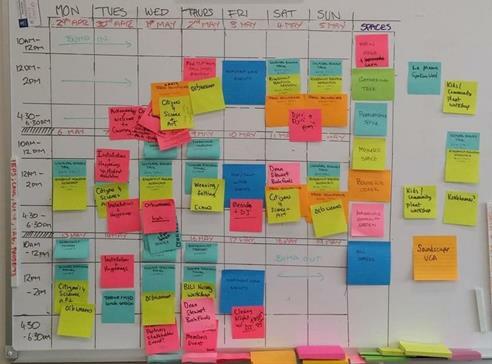 The last few months have been spent finalising the research strategy, which will be fed by seven sub-projects and informed by a variety of social, qualitative and quantitative research methods. This method will include self-guided tours of the site, and research to write the stories of the 80+ species which will make up the 40,000 plants being used in our unique design. 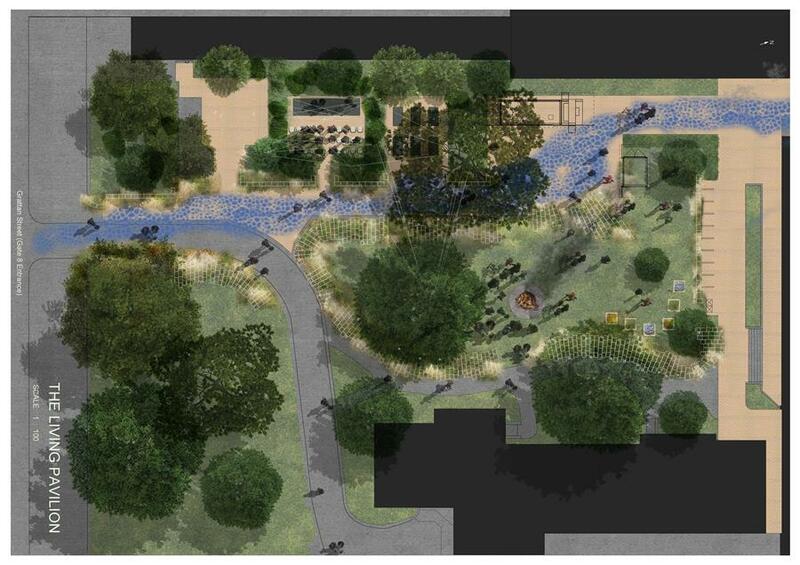 The Living Pavilion artist impression showing how the 40,000 Kulin Nation plants will be places throughout the site. Design by Thrive& CAUL Research Hubs, Jefa Greenaway, Charles Solomon, AILA & Ecodynamics. Kirsten Parris and Zena Cumpston have formulated a plan for their social research around Indigenous knowledges and ecology which will be conducted when the site is live. Questions will be asked of our audiences and participants, such as how the re-established endemic species on the site improved understandings of Melbourne's Indigenous history and ecology. Recently, as part of Zena's research development, she conceived and presented a workshop for 180 children at The University of Melbourne's University Early Learning Centre which explored ideas about what the ecology of Melbourne looked like before colonisation, the diversity of Indigenous peoples, themes such as biodiversity and ecosystems and the many uses of native grasses for cultural items and foods. The Living Pavilion team then worked with the children to provide a hands-on experience, getting the groups to plant native grasses which the children will nurture for inclusion in The Living Pavilion site in May 2019. Planting with the children at the Early Learning Centre and a thank you card from the children to Zena. A flurry of other exciting programming ideas will showcase the links between the research, design and program of The Living Pavilion and the wider New Student Precinct Project, including the production of evocative soundscapes as part of the site design by Victorian College of the Arts students. Congratulations to our major horticulture partner Ecodynamics on their new social enterprise Ecodynamics Nursery, where the 40,000 plants for The Living Pavilion currently reside. The Ecodynamics Nursery team report they've had a very busy start to the summer season, with seed collection and propagation in full swing. Melbourne is experiencing a cooler than average start to Summer this year, which has meant that the germination window for many of the grasses being grown for The Living Pavilion has been extended. Longer daylight hours are also assisting with speedier growing rates, so there will be plenty of strong healthy plants to choose from when installation commences in April 2019. Ecodynamics are growing 40,000 plants for The Living Pavilion. 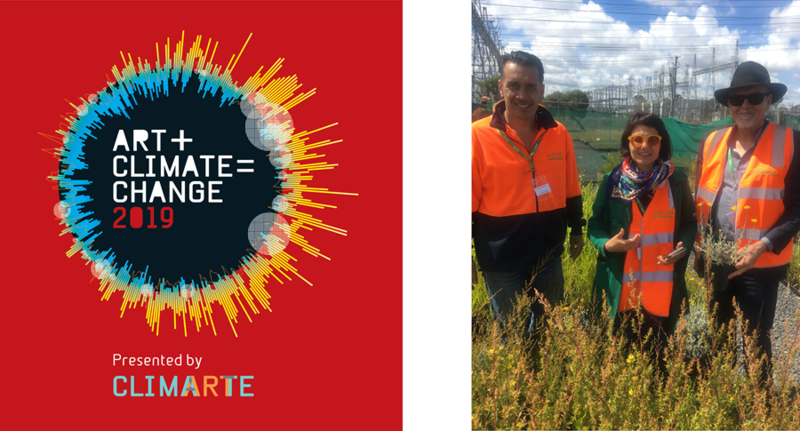 We are pleased to hear that the University of Melbourne is now the Knowledge Partner for CLIMARTE's ART+CLIMATE=CHANGE 2019, a collaborating partner in The Living Pavilion. 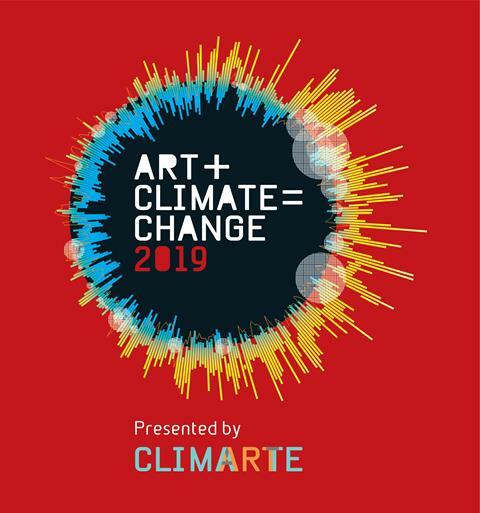 CLIMARTE's ART+CLIMATE=CHANGE 2019 is a socially engaged festival of ideas, exhibitions, and events. The 2019 festival will consider ideas and concepts around the themes of art and activism, community engagement, mitigation and adaptation. The festival will feature over 30 curated exhibitions across Victoria's public and private gallery sector, keynote lectures, theatre works and public programs including nine programs especially devised for The Living Pavilion. Alongside festival exhibitions, our collaborative programs will bring together experts in arts practice and curatorship, with some of the foremost researchers in climate and environmental science, policy and future visioning alongside thinkers on cultural, philosophical and psychological consequences of climate change. From left: CLIMARTE's ART+CLIMATE=CHANGE festival logo. Randall (Ecodynamics), Tanja (THRIVE) and Adrian (AILA) at the Ecodynamics Nursery launch. The final months of 2018 have been dedicated to creating the draft program of events for The Living Pavilion next year. The project team is curating the program using the ideas generated during the July Creative Development Workshop and working closely on event design with our program partners and collaborators (including Mandy Nicholson, Djirri Djirri Dance Group, CLIMARTE, the New Student Precinct, Next Wave, Australian Institute of Landscape Architects, Ecodynamics, BILI Nursery, Dean Stewart, Victorian College of the Arts, Next Wave, Science Gallery, The Orbweavers and more). The Living Pavilion will be held from 1 – 17 May 2019. Highlights from the program include live performances, panel discussions, hands-on activities, guest speakers, artists in residence, scientists in residence and more. These cross-disciplinary (art, science and culture) events will foster a sense of community through research, knowledge sharing, collaborative making and celebration. Importantly we continue to work with the New Student Precinct, a signature project to the University's Reconciliation Action Plan (RAP 3) to align our design and program with RAP 3 commitments and provide a unique space for Indigenous thinking, perspectives and sensibilities. We are working with Mandy Nicholson, founder of award winning Djirri Djirri Dance Group and a curating artist for The Living Pavilion, to plan the opening performance, and explore opportunities for Indigenous and non-Indigenous participants to dance on Country together. The Living Pavilion festival program planning. 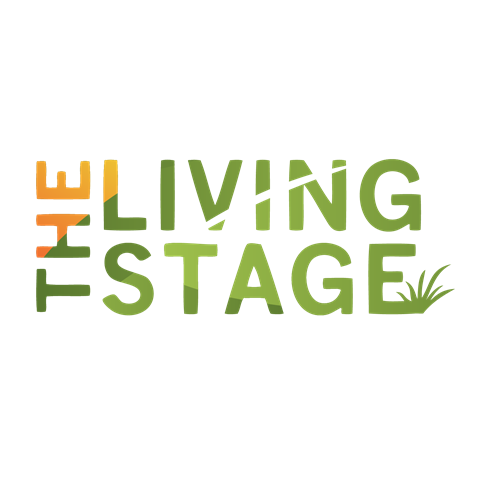 The Living Pavilion Program is a co-creation of the producers, partner organisations and our collective communities. There are many opportunities to engage across arts and sciences by students for credit or extra-curricular activities, the development of research and engagement projects by staff, or for local community groups or schools to contribute to the programming. The draft program will be released at the end of January 2019, so there is still time to get involved. Please contact Cathy Oke (cathy.oke@unimelb.edu.au) for more information. Please feel free to contact us with your ideas and interest anytime. The Living Pavilion (1-17 May 2019) is CLIMARTE's ART+CLIMATE=CHANGE festival hub, fostering a sense of community through collaborative making and celebration. Located in 2019 at The University of Melbourne's New Student Precinct, Parkville Campus, The Living Pavilion will be a platform for celebrating Melbourne's eclectic flora and fauna, as well as hosting events and performances by local Indigenous and non-Indigenous leaders, artists and scientists. 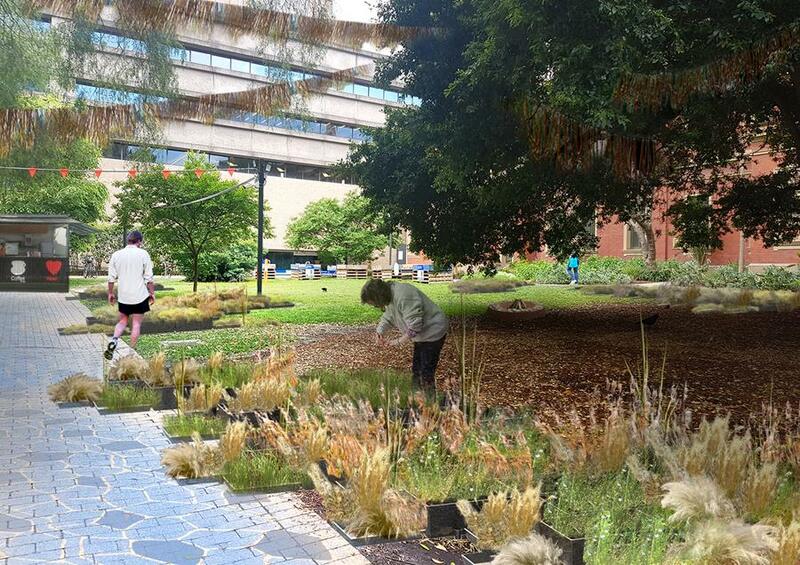 The New Student Precinct has partnered with The Living Pavilion to transform the proposed Welcome Mat landscape at Gate 8 with plantings, artworks, performances, talks and gathering spaces that celebrate the natural environment as a way to begin reclaiming the landscape as the future home of Murrup Barak, Melbourne University's Institute for Indigenous Development. The Living Pavilion is a co-production and collaboration with THRIVE Hub (Melbourne School of Design), Clean Air and Urban Landscapes Hub (CAUL) of the National Environmental Science Program, the New Student Precinct, the University of Melbourne, and CLIMARTE's ART+CLIMATE=CHANGE 2019 festival. The Living Pavilion's major horticultural and design partners are Australian Institute of Landscape Architects (AILA) and Ecodynamics. The Living Pavilion pays respect to the past and present elders of the Wurundjeri people of the Kulin Nation. The space and its' organisers honour the deep spiritual, cultural and customary connections of Traditional Custodians to the landscape and ecology of the land on which the Living Pavilion will be located. We acknowledge the continuing connection and custodianship of Country enacted by the Wurundjeri people.